Deputy U.S. marshals escorted U.S. 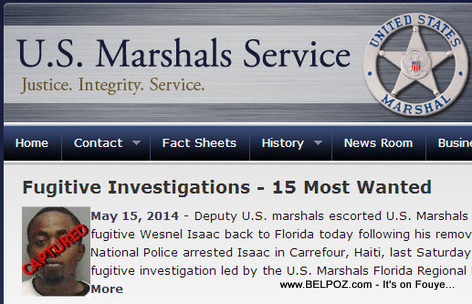 Marshals Service 15 Most Wanted fugitive Wesnel Isaac back to Florida today following his removal from Haiti. Haitian National Police arrested Isaac in Carrefour, Haiti, last Saturday, ending a seven-year fugitive investigation led by the U.S. Marshals Florida Regional Fugitive Task Force.